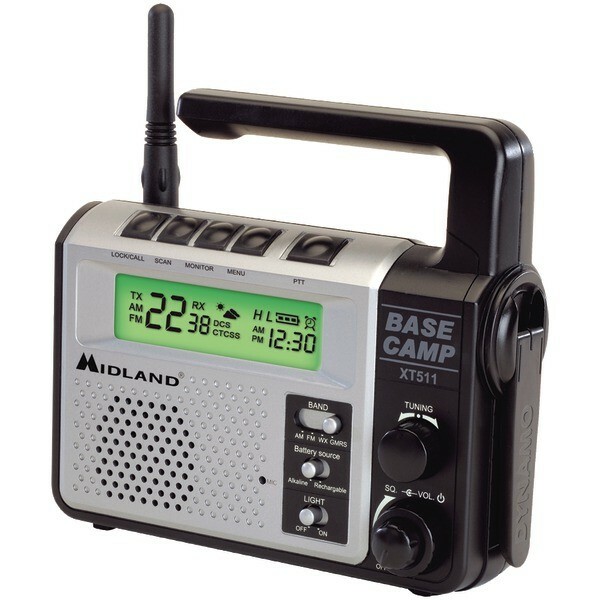 22-Channel GMRS Emergency Crank Radio with AM/FM/Weather Alert and GMRS Radio by Midland®. Enjoy the outdoors with the best gadgets and electronics and let them do the job for you. Designed with precision and functionality in mind, this accessory ensures outstanding performance and easy use which makes it the perfect deal for your ultimate satisfaction.